As Sydney icons go, they don't get much better than the double ended Manly Ferry. Not in the league of the Opera House or Harbour Bridge, but not far behind. Who visits Sydney from overseas or interstate without a ride across the Harbour on the Manly Ferry? The first daily service to Manly started in 1856 as part of a plan by the redoubtable entrepreneur Herbert Gilbert Smith to turn the then remote locality into a seaside resort. Ferry rides to Manly were hit and miss in the early days and frankly dangerous in rough weather. But under the management of the Port Jackson Steamship Company, operations reached maturity by the turn of the century. Paddle steamers were progressively replaced by vessels more fit for purpose and with a similar DNA to today's Freshwater Class: double ended screw propulsion, steel hulls, high forecastle to cope with heavy seas crossing the Heads, plentiful outside seating and a passenger capacity in excess 1,000. Six were built between 1905 and 1922 (Binngarra, Burra-bra, Bellubera, Balgowlah, Barrenjoey (later renamed North Head) and Barragoola) by Morts Dock and Engineering Company. They had operating speeds of about 14 knots, sufficient to make the journey to Manly in 30 minutes. With a 15 minute turnaround at Manly and the Quay, three vessels could operate a 30 minute interval service all day, with one boat spare. More than a century later, the Freshwaters still follow the same pattern. The current Freshwater Class vessels were introduced over six years, starting with the Freshwater in 1982, followed by the Queenscliff (1983), Narrabeen (1984) and Collaroy (1988). 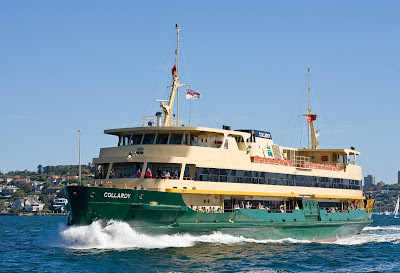 Friday's newspaper reports suggest that these four vessels will be retired soon, with Transdev Sydney Ferries opting to operate three new Emerald Class catamarans to Manly at higher frequency. This means the demise of the iconic double ended, mono hull Manly Ferry may not be far away. 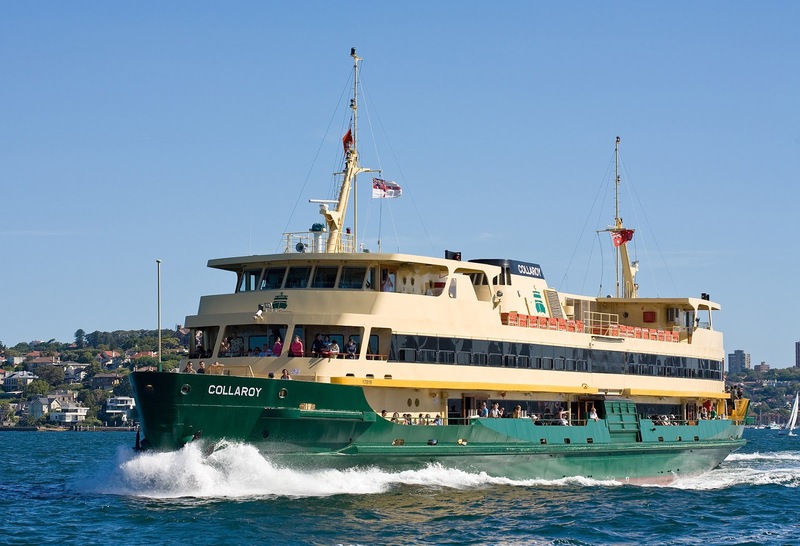 When decisions are taken about an iconic brand like the Manly Ferry, there are some difficult issues to assess, balancing wider tourist and heritage values with the practical need to operate an efficient public transport system. Leaving aside the iconic status of the Manly Ferry, even the efficiency issues are not straight forward. Superficially it looks simple. Emerald Class boats only have a crew of three, compared to six on the Freshwaters. That's a big saving in labour costs, plus the flexibility of being able to use the same crew for Manly and inner harbour services. There is also a massive saving in maintenance costs and fuel. There is a logic in timing the Freshwater retirements with the planned redevelopment of wharves at Circular Quay. The Freshwaters have special terminal facilities at Jetty 3 at Circular Quay (and Manly) for loading and unloading passengers to the main and upper decks. This will not be required if the Manly run is operated by Emeralds, potentially making an extra berth available at the sorely congested Quay. Emerald Class ferries can operate at high speed, which would enable them to compete with the Manly Fast Ferry (MFF) on speed, but this is prevented by an agreement made by the NSW Government that no MFF competitor can exceed 18 knots on the Manly route. This is a significant for Transdev - at best the trip will take 25 minutes at 18 knots, compared to 20 minutes by MFF. Many people have raised the objection that the Emeralds don't have sufficient capacity - 400 as against 1,100 on the Freshwaters. The truth is that, other than sunny Sundays, the Freshwaters rarely reach more than 40% capacity. The operator could switch other Emeralds into the Manly runnings for these predictable peaks, increasing frequencies to four or five per hour. 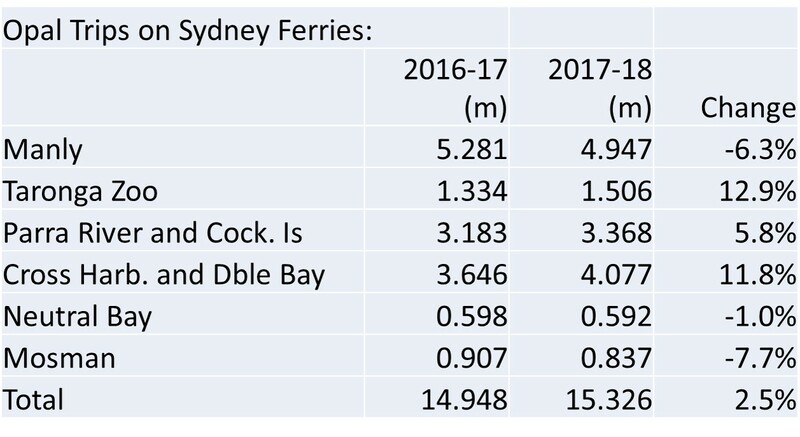 The unsubsidised NRMA owned Manly Fast Ferry (arguably more beloved by Manly residents than what they disparagingly call the "slow ferry"), has been a huge success since launching in 2009. It now departs every 10 minutes in the peaks and 20 minutes off peak; and the fares are not much higher for regular users than Opal fares for the slower, less frequent Freshwaters. But the MFF will be affected by the recent decision to change the weekly Opal fare cap. The weekly cap, which only applies to trips taken on publicly funded public transport (including Transdev Sydney Ferries, but not MFF), will be reduced to $50. This means a Manly commuter with five return trips per week will pay $28 less by catching an Emerald boat instead of the NRMA peak service. That could be a saving of more than $1,000 a year or significantly more if the journey involves a bus or train connection (also covered by the $50 cap and transfer discounts). How this impacts on MFF ridership is difficult to predict, but it may mean Transdev will start to pick up more of the commuter market, which it almost entirely lost to MFF. Sentimental objections to the loss of the Freshwaters will be great and perhaps a compromise solution will be arrived at. Maintenance and fuel costs would be substantially reduced if the Freshwaters were converted to all electric propulsion. With current new technology, the 15 minute turnarounds would be long enough to charge the boats for each 30 minute journey. This would not offer the efficiency gains that Transdev would achieve by retiring the Freshwaters, but the fuel and maintenance cost savings would still be significant compared to current arrangements. The move to electric propulsion in ferry transport is sweeping the world, led by Norway as they have with electric cars. Australia needs to get on board at some stage and the Manly Ferry would be a highly visible place to start. And if you thought the Freshwaters are already iconic, who could fail to be charmed by an all electric Manly Ferry entering Sydney Cove, silent but for a passing boat's wash slapping on the bow. It would be like the return of the steamers. 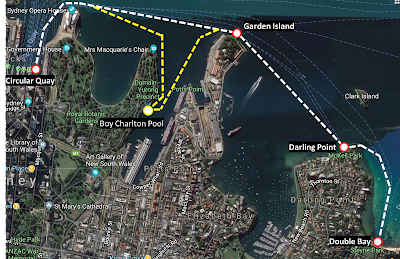 Important note: this post has been changed since it was first published on Saturday, after the author became aware of an agreement that prevents Manly Fast Ferry competitors to operate at speeds of more than 18 knots on the Manly route. Most people familiar with public transport know about clockface timetables. We would all prefer a "turn up and go" service, but if your train, bus or ferry service is not high frequency (10 minute headways or better), second best is one where departures are at the same minute intervals every hour. Let's say your local ferry leaves in the direction of the city terminal at 10 and 40 minutes past the hour, every hour. You might like it to run more often, but at least the schedule is memorable. You don't have to consult a timetable because it always leaves at the same minute intervals. Clockface timetables have other benefits which may not be obvious to the passenger. If the ferry operates at regular 30 minute intervals, then it is easier to schedule connecting buses. It's also easier to make ferry to ferry connections at an interchange like Circular Quay. So are all clockface timetables equal? If two ferry lines have 30 minute headways, all connections at an interchange terminal can be timed conveniently. 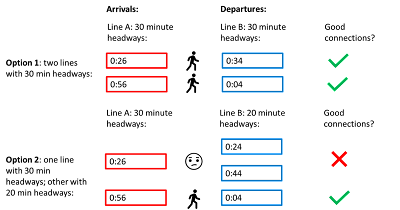 In the example shown in Figure 1 below, passengers have an eight minute wait for any transfer from Line A to Line B or from B to A. Just like a memorable timetable, it is reassuring to the passenger to know they can make a good connection between Lines A and B regardless of which ferry they catch. But a timetable with 20 minute headways can also be considered "clockface" because departures are still scheduled at the same minute intervals every hour. The problem is that if other lines in the network run every 30 minutes, then good connections are only possible once an hour. In other words, the connections are actually made worse. 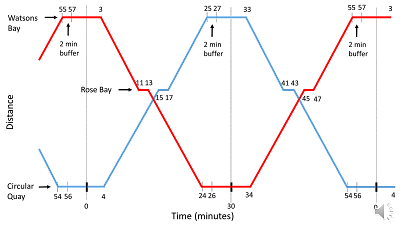 In practice, fluctuations in demand dictate that frequency may need to be greater in peak periods, or some lines must operate more often all day. So what is the best way to accommodate this without mucking up connections? The answer is to halve the headways. If 30 minute headways are not frequent enough, change them to 15 minutes. This approach has at least two important benefits. The first is it doesn't alter the underlying simple, easy to remember pattern. To use our original example of the ferry stop with departures at 10 and 40 minutes past the hour, the departure times in the peak are now at 10, 25, 40 and 55 minutes past the hour. The extra services merely supplement the off peak pattern. The second benefit is demonstrated in Figure 2 below. Passengers transferring from the lower frequency Line A retain a good connection with Line B for all services. There is of course a problem with transfers in the other direction - from the higher frequency Line B to the low frequency Line A. This can be ameliorated by timetable apps which highlight the services on Line B which have good connections to Line A. So what this means is that all clockface headways are not equal, especially if a network design objective is to improve line integration and bus connections. With plans afoot to increase off peak frequencies on the Parramatta River, a 15 minute headway is a much better option than 20 minutes. And if we are concerned about efficient use of taxpayer funds, would it be better to leave the River at 30 minute headways off peak on week-days? The new Pyrmont Bay Wharf opened in September 2015, a little less than three and a half years ago. It may surprise some F4 ferry users that there are already plans to move it. The reason for the relocation is a proposal to build a Maritime Heritage Precinct marina in Pyrmont Bay. Three new jetties are planned to accommodate vessels from the Sydney Heritage Fleet, including the South Steyne, probably the most famous of all the Manly Ferries. More information can be found here. 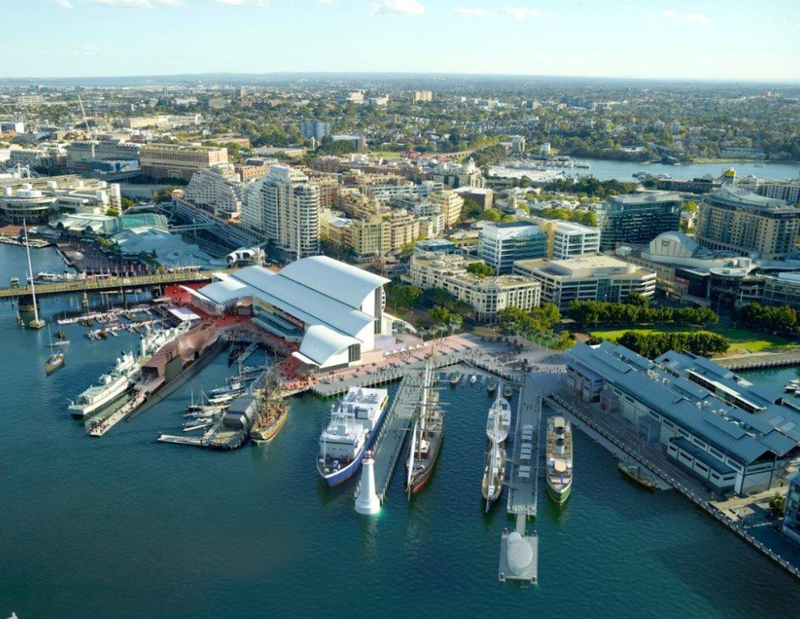 Pyrmont Bay Wharf is now located adjacent to a pedestrian concourse immediately north of the National Maritime Museum. To enable ferries on the F4 route to continue to stop at Pyrmont Bay, it is necessary to relocate the pontoon to the end of one of the new jetties. The pontoon allows for berthing from one side only. 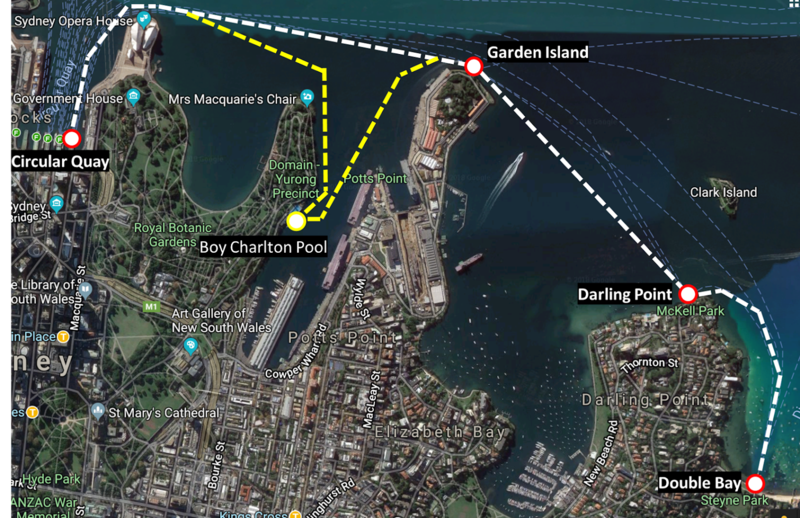 Berthing ought to be possible from both sides to avoid berthing conflicts with other vessels stopping at Pyrmont Bay, including a Manly Fast Ferry service and party/cruise boats. In addition, Harbour City Ferries has a practice of terminating vessels at Pyrmont Bay to facilitate crew crib breaks. Inbound terminating vessels are often held off the wharf while waiting for another to depart. The pontoon is too small for current and future demand. Pyrmont Bay is one of the busiest wharves in the ferry network, especially on Sunday afternoons or during events. The current pontoon is not large enough to provide safe and efficient egress of passengers when large crowds disembark while another equally large crowd waits to board. The positioning of fenders, bollards and stanchions do not appear to be appropriately customised to the ferries that berth at Pyrmont Bay. It should be possible for Emerald Class and First Fleet Class vessels to use two double gangways (forward and rear) when large crowds are loading and unloading. The design of the pontoon should allow for passengers to disembark from the forward gangway at the same time that embarking passengers load through the rear gangway – and for there to be sufficient separation of the two groups so that the egress of disembarking passengers is not impeded. So I'm hoping RMS is open to having a design for the new pontoon that incorporates significant improvements over the existing wharf. RMS has invited written feedback on the proposed marina by Friday 1 March. A proposal by residents for a ferry stop in the inner east Sydney suburb of Woolloomooloo gets a run from time to time. It came up again last week, with the Wentworth Courier reporting on a public meeting in support of a new ferry service to Andrew (Boy) Charlton Pool, on the western side of Woolloomooloo Bay. The idea also has the backing of the nearby Art Gallery of New South Wales. Unfortunately, the case for a new ferry stop at Boy Charlton Pool - or anywhere in Woolloomooloo Bay - is less than convincing. A generally accepted rule of public transport planning is that most passengers will walk up to 800 metres to a train or ferry stop. Resistance increases with obstacles such as steps or a busy road. 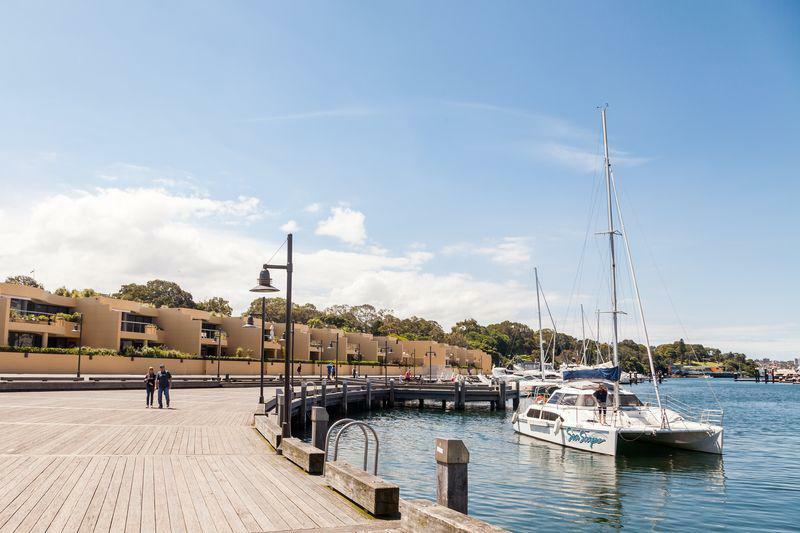 If a ferry wharf is located at Boy Charlton Pool, the only Woolloomooloo residents to benefit will be those living in the 100 or so apartments in Lincoln Crescent. For almost everyone else, the walk to the pool is more than 800 metres and may involve crossing the four lane Cowper Wharf Road. Even visitors to the Art Gallery may be deterred as the walking distance from the pool to the extended Gallery is about 600 metres. make Woolloomooloo a stand-alone line, like Taronga Zoo. Both options are problematic. The current Double Bay line follows a reasonably direct route. Making a diversion into Woolloomooloo Bay will add significantly to the travel time of existing Double Bay, Darling Point and Garden Island passengers. Option 2 is even less attractive. For the reasons already outlined, demand is likely to be tiny. Even if the wharf was located nearer to Cowper Wharf Road and the head of Woolloomooloo Bay, walking directly to Macquarie Street in the CBD would offer a competitive alternative in time than a ferry ride to Circular Quay. More importantly, there are simply not the berthing facilities available at Circular Quay for an additional line. 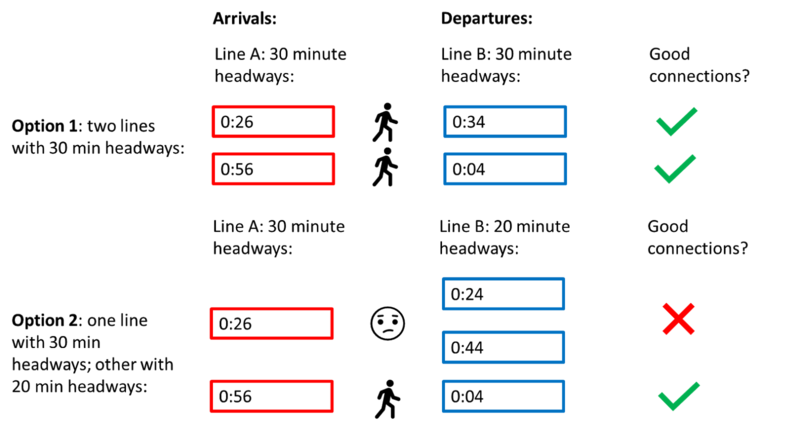 The Quay struggles to accommodate the existing nine lines. 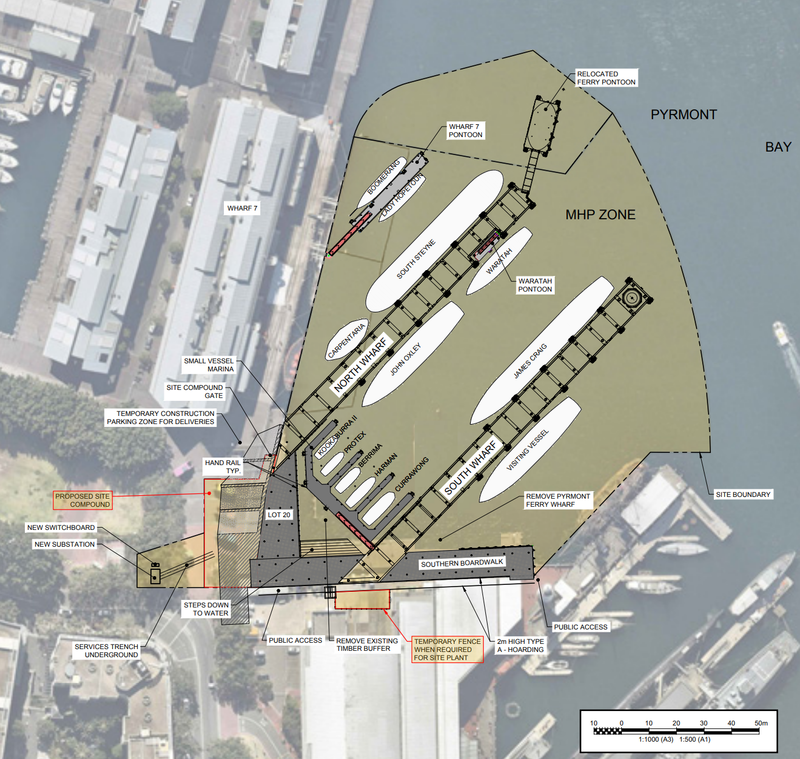 It is very understandable that residents of Woolloomooloo would like to have a ferry wharf near their doorstep. But on a scale of places suitable for ferry connection, Woolloomooloo does not rate highly. It's an old, old problem that just won't go away - Sydney struggles to get bus/ferry connections right. It seems so simple from the point of view of the passenger. The passenger wants a reliable bus service to take him or her to the ferry wharf with just a short wait before the connecting ferry departs. And on return, after disembarking the ferry, a bus should be waiting at the wharf to complete the journey home. Sydney's geography means the ferry to bus connection is usually more critical than bus to ferry. The bus journey to a ferry wharf is often down a steep incline. More often than not, passengers are willing to stroll down a hill to the wharf, but are reluctant to walk back up. That's why the transfer from ferry to bus is more important. It is also more complicated for a passenger to mentally juggle two schedules - "Which is the best bus to catch for me to make a convenient connection with the ferry? Should I assume the bus will be on time or do I allow for an extra five or 10 minutes in case the bus is late? What the hell, I'll just walk to the wharf". The decision is simpler when disembarking the ferry. The bus is either waiting at the wharf or it's not. Providing passengers with what they want is not so easy. Part of the problem is an issue of detail - exactly how long should be scheduled for a transfer wait? Take the example of the new timetable for buses terminating at Balmain East Wharf, which takes effect from Sunday 2 December. The network has been simplified by operating a single line - the 442 bus - between the Queen Victoria Building and Balmain East. Daytime on week-days and Saturdays it will run at 10 minute intervals. This is in place of two lines (the 442 and 445 (Balmain East to Campsie)) which each operated at 20 minute intervals. As a guiding principle, simpler, higher frequency networks are better. Unfortunately, though, the new timetable does not allow enough time for transfers from the ferry to the bus. The ferry from Circular Quay is scheduled to arrive at :00 and :30 minutes past the hour, with the "connecting bus" scheduled to leave at :03 and 0:33 minutes past the hour. The walk from ferry to bus stop is 105 metres, including steps, and takes between 90 seconds and two minutes for less mobile passengers. This leaves almost no buffer for a ferry delay. As the F4 ferry from Circular Quay is usually at least three minutes late (for reasons explained in an earlier post), connections will rarely be made. This is not such a problem when the 442 bus departs at 10 minute intervals, because it won't be long before the next bus arrives. But bus frequency drops to 30 minute intervals after 8 pm, which means passengers hoping for a transfer from this time are likely to have a very long wait. There are also some bigger strategic design issues in ferry - bus connections. local lines provide for shorter journeys including connections to the inter-suburban lines. Buses connecting to a ferry wharf should be feeder lines to the ferry. But the 442 bus is also an inter-suburban line, because it carries passengers all the way from the Balmain East wharf into Sydney's CBD. It tries to be both a feeder line and an inter-suburban line at the same time. In the commuter peaks, the 442 trip from Balmain East to QVB is scheduled to be 28 minutes. 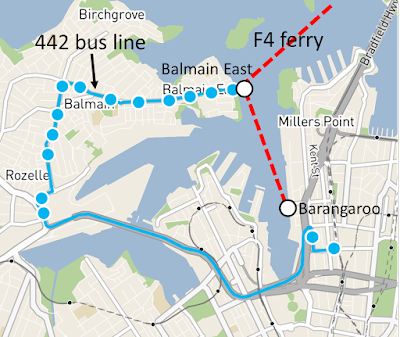 The ferry ride from Balmain East to Barangaroo - not that far from QVB - is a 5 minute journey. So for Balmain East residents, the ferry is a more convenient option. 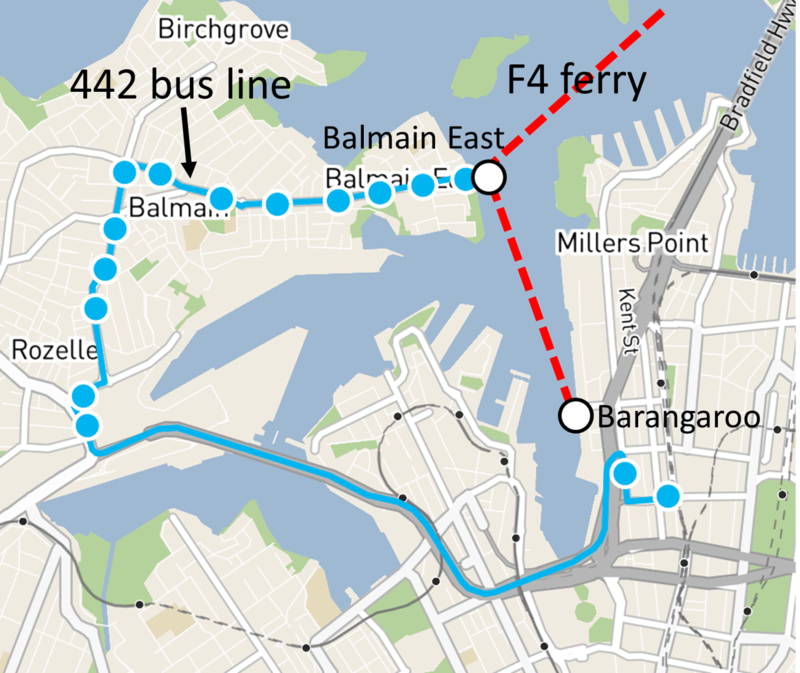 Wouldn't it better for the section of the 442 route from Gladstone Park to Balmain East wharf to be simply a dependable feeder bus line to the ferry? Better for a bus to do this well (punctually) than try to compete with the ferry for passengers travelling to the CBD. There are many other similar cases across Sydney, including the 438 bus from Abbotsford wharf to Martin Place and the 505 bus from Woolwich wharf to Town Hall. The 438 takes up to 68 minutes in the peaks, but the ferry journey is only 26 minutes to Barangaroo or 28 minutes to Circular Quay. The ability of a bus line this long to be a reliable feeder to the ferry wharf is very doubtful. All of this highlights the importance of viewing Sydney's public transport as an integrated system, not independent operations, and for more attention to be given to improving connections between the component parts. The bus timetable changes to be implemented this week-end suggest Sydney is still not quite there yet. Opal journeys for the Sydney Ferries franchise in the financial year ending June 2018 totalled 15.326 million, up 2.5% on the previous year. While up to date Opal journey data is accessible on the Transport for NSW website, official ferry patronage numbers for 2017-18 are not yet available. The official patronage figures are higher because patronage includes an estimate of non-ticketed journeys, untapped school student travel and integrated ticketing special event travel. Journeys to and from Double Bay, Darling Point and Garden Island are now on a separate line from other Eastern Suburbs stops (Watsons Bay and Rose Bay). Services to Watsons Bay and Rose Bay are part of the new Cross Harbour route, a "through line" which incorporates the former Darling Harbour route. The Cockatoo Island line is now formally separated from the Parramatta River line. Growth is strongest on the Taronga Zoo and Cross Harbour lines, with patronage increasing 12.9% and 11.8% respectively. An increase of 5.8% was achieved on the Parramatta River and Cockatoo Island lines combined. The declines were reported for Mosman (down 7.7%), Manly (down 6.3%) and Neutral Bay (down 1.0%). We can only speculate on what's driving the ups and downs, especially as more granular level data has not been published. Up to date counts of week-ends v. week-days, or changes in AM peak numbers, are not available, a situation I bemoaned in a post last year. Tourist ferry journeys are up, in line with the general upswing in Sydney tourism numbers. This is suggested by the growth on the Taronga Zoo and Cross Harbour lines, both of which are predominantly tourist routes. 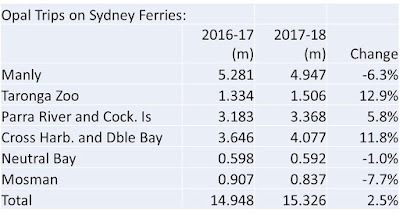 Manly, although another tourist dominated route, is continuing to lose ground to the Manly Fast Ferry which has increased frequency in the peak and off peak in the last few years. Mosman and Neutral Bay are almost exclusively non-tourist lines and they may still be suffering from the general sluggishness in commuter numbers which followed the discontinuation of periodical fares, which was mainly to the disadvantage of regular ferry riders. It is not possible to make authoritative comments about commuter passenger trends without more detailed Opalcard data being available. But this analysis is important as the usefulness of ferries as a mode of public transport depends on how well it serves residents who need it to travel to work or meet other regular mobility needs. I gave a presentation at the Australian Ferry Society this month on ways to make the Sydney ferry network better connected, load passengers faster and reduce berthing congestion. Here's a link to a youtube video which is based on the presentation. Now is a critical time for the Sydney ferry network, with decisions imminent on the design of the Circular Quay terminal. Those decisions will have a lasting impact on the usefulness and efficiency of ferries as a mode of public transport in Sydney. The presentation canvasses some of the key issues.